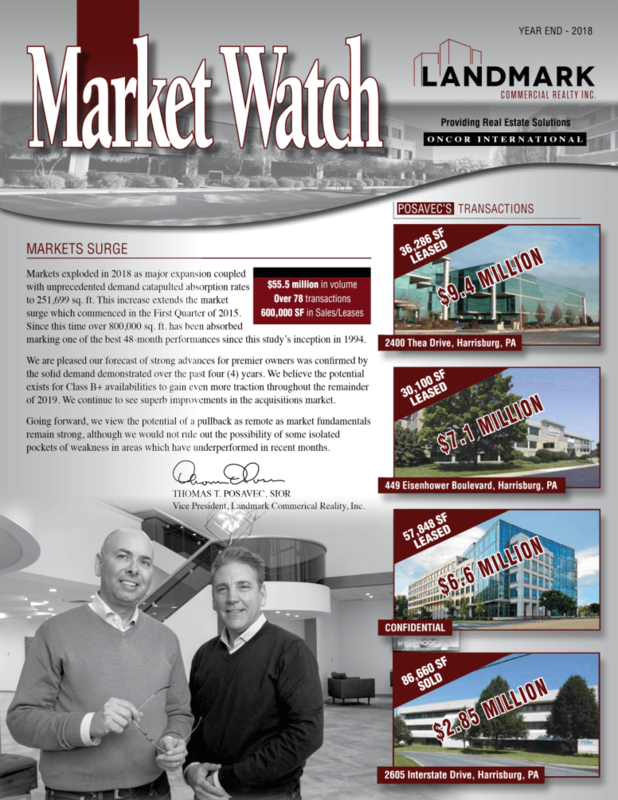 Landmark’s Senior Vice President, Thomas Posavec, SIOR has released the Year End 2018 Market Watch Report. Markets exploded in 2018 as major expansion coupled with unprecedented demand catapulted absorption rates to 251,699 sq. ft. This increase extends the market surge which commenced in the First Quarter of 2015. Since this time over 800,000 sq. ft. has been absorbed marking one of the best 48-month performances since this study’s inception in 1994.